What do you usually do on a trip abroad? Have you ever left a place knowing you’ve “done” all the attractions in the guidebooks, but feeling like you know no more about it than before you visited? One way to make your travels more unique and memorable is to absorb the local culture of each destination, rather than simply observing it. By seeking out local people, places, and activities (even those that might seem unremarkable at first), you’ll learn more about a place and find it more interesting than you ever thought possible. When we travel to a new and foreign environment, our senses are excited by a symphony of sights, sounds, smells, tastes, and textures. Food is no longer just sustenance – it’s a tale of rare local ingredients, generations-old secret recipes, and even social norms. When trying local cuisine, I suggest ditching TripAdvisor, Yelp, or other crowdsourced opinions. Arm yourself with a few phrases in the local tongue, like “how much” and “thank you”. Embrace getting ripped off; try everything if you can. After realizing TripAdvisor’s “top” warungs in Bali all turned out to have the same bland English-language menu, interiors, and food, I delighted in the greasy walls and condiment melange in local shops, where I had mie bakso, babi kuling, and nasi campur – for less than $1 per meal. There’s no better way to learn about a place than from locals. Some cities have free tours where local guides will walk you through a city while sharing fascinating facts that you’d never be able to glean from the Internet or guidebooks – and all you have to do is tip them. Context Travel, whose small-group cultural tours are led by scholars and academics, is also a great choice for those who want to dig deeper into local history and culture. What I like even better is trying cultural experiences that support the local community. Visit.org and Backstreet Academy are my favorites as you get to learn from locals through their field of expertise. Imagine visiting a chimpanzee sanctuary in Sierra Leone, mountain biking in Kathmandu, or even learning to weave your own intricately patterned scarf in Luang Prabang! Trying on traditional costumes is a fun way of experiencing culture. This is especially popular when touring traditional sites in Japan and Korea, where you can traipse around in a hanbok, kimono, or yukata (and get gorgeous shots of yourself while you’re at it). A good costume rental place will even explain to you the cultural significance of different fabrics, colors, and accessories that you’ll be wearing. N.B. In Singapore, schools observe Racial Harmony Day each year. On this day, students are encouraged to wear their own traditional costume or that a different ethnic group to school. I’ve worn the Chinese cheongsam, Malay baju kurung, Nyonya kebaya, and Indian kurta and sari – in the case of the sari, I had to get help from friends and a school janitor to fold and pin the miles of sari fabric correctly! I can’t say it enough: much as I love driving and road trips, the best way to explore a destination is by foot. The second-best way is by public transit. When you go slow and let yourself wander, it’s no longer a task to getting from Point A to Point B – all the sights, smells, and sounds around you become an addtion to your mental map, that indelible ink drawing in your mind. I’m a city girl. I love cities and the energy created by this confluence of people and ideas and happenings. 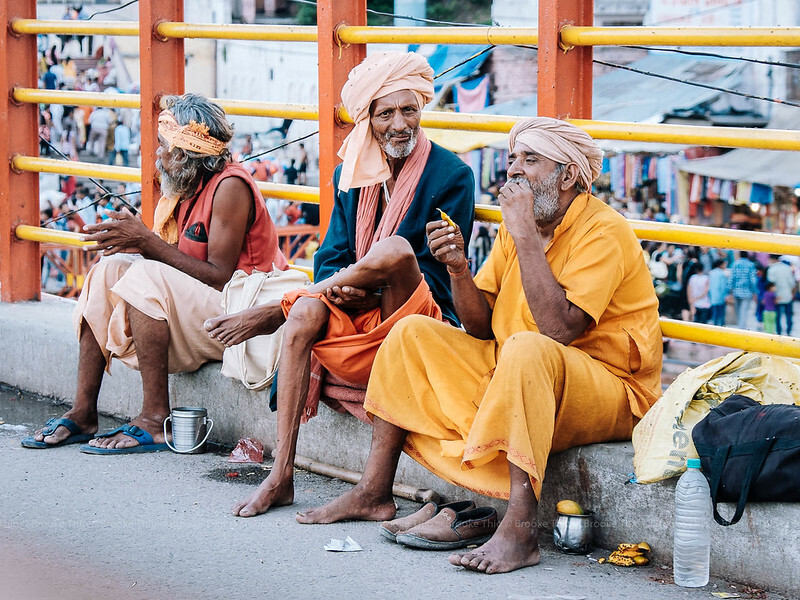 But cultural travel extends beyond the city – the suburbs and countryside are often where locals have different lifestyles, traditions, and perspectives to share. Plus, there are lots more stunning landscapes to be found. If you’re tight on time, try fitting in a day trip or two to get a change of environment and see how diverse a place can be from region to region. Instead of scouring dozens of tourist souvenir shops selling the same mass-produced magnets, t-shirts, and keychains, why not get a gift with an amazing story to tell? Hunt down local markets, creative enclaves, and workshops where you may even customize your souvenir. When you buy directly from local craftspeople, you’re recognizing the value of their skills and supporting their livelihood. You’re also reducing demand for factory-made or even imported goods, which means full support for the three pillars of social, economic, and environmental sustainability! A hotel may be comfortable, and a hostel may be fun, but a local’s home is where you’ll find everyday manifestations of deep local culture, attitudes, and values – as well as meaningful connections with people who are, beneath it all, just like us. I can say with certainty that what I remember most about my travels are the conversations with strangers and, sometimes, newfound friends. While someone who welcomes you into their home is usually hospitable, you should be prepared to encounter challenges and accommodate different worldviews. I had the toughest time during my one month in Kenya, where concepts of personal space, punctuality, and responsibility were completely different from my own. However, I really learned and grew as a person, and Kenya will always be one of my most life-changing journeys. On her blog A Bite of Culture, Jamie Lee also shares 10 things learned from living with a host family. Even if you’re on vacation, try Couchsurfing or Airbnb as a means to enjoy a local experience from the place you’re visiting. Last, and perhaps toughest of all, is this: give yourself more time in every destination you visit. I can understand the desire to see and do as much as possible on limited vacation time – even as a proponent of slow travel, I’ll admit I struggle with FOMO because I want to get more content for this blog! While you can certainly learn history, art, and heritage by visiting museums or touring historical sites, immersing yourself in local culture takes time. However, you’ll be rewarded with experiences, stories, and friendships that no one else will have. I’d like to end this post with this statement by fellow blogger Naomi Figueroa of Roaming the Americas: she’s so beautifully articulated my feelings toward cultural travel. How do you go about experiencing culture when you travel? What challenges have you faced, and what tips would you add? There are some thoughtful suggestions here. I agree with you that tasting the local cuisine is a key way of enjoying local culture while travelling. This is an awesome list, for me this is the difference between a traveler and a tourist (not that you can’t be both). So important for travelers to acknowledge that they are guests, and to learn from the locals! Some great tips. My best trips have been ones where I’ve managed to connect with the locals in some way. On my trip to Nepal we hired a trekking guide even though we thought we didn’t really need one. It was sooo invaluable to have a local to explain all the things we were seeing and act an interpreter for us so we could talk with the villagers. Totally agree! I love to explore the culture through the food, and try to do food tours whenever they are available. And authentic street food in a random back alley found while wandering around getting lost. Also use couchsurfing to meet up with locals, or just talk to people I meet along the way. Loved these practical tips! Now that you mention ditching TripAdvisor etc., I recall that many times the top-ranked restaurants I’ve tried were indeed rather blah, expensive and clearly geared towards tourists. I think with wearing other cultures’ traditional clothing (and like you I’ve worn saris, baju kurungs, etc. ), as I’ve grown older I’ve started to be more aware of cultural appropriation vs appreciation and I think nowadays I’d avoid it if there was some religious connotation and/or the local people didn’t like it. It does seem to be very welcome in Japan and Korea though! Glad you liked it 🙂 Yep, we’re lucky to have a harmonious and welcoming environment here. I cut a para from my final edit: Cultural appreciation = asking for permission, sharing with respect, citing the original source. Cultural appropriation = plagiarism/theft. I moved to Venice (Italy) last year for my university studies, and I couldn’t agree more with you on the fourth point. I learnt how getting lost is the perfect way to explore and discover the real culture and city. It’s the only way to find out what the city really is, and how the locals live. Really great list! I like your content alot! Love these tips. I don’t feel like I have visited if I don’t do some of these things. Thanks for the great suggestions! Thank you! I try too but sometimes – especially in a group – it’s more important for everyone to have fun. Wonderful tips for really connecting to a place on a deeper level, and finding the heart of it through meeting and living with locals rather than ticking off the big sights! My sole exception for that is Hard Rock Cafes – I’m one of those dorks that likes to get the t-shirt from every country I can. And their potato skins are delicious everywhere! Haha! Great list of travel reminders! Tbh, I depend on TA to get recommendations for food places overseas too (I often give reviews as well), but the places in Bali indeed didn’t meet my expectations, oh well.